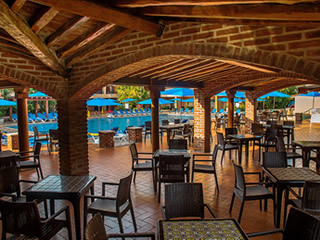 The Hotel Playa Mazatlan’s low-rise colonial architecture and rustico Mexican details transport you back to the charm and luxury of old-time Mexico, with bright-colored tile, arched doorways and arcades, hidden gardens, bubbling fountains, cobblestone walkways and colorful art and sculpture. The covered patio outside the lobby is home to a line of traditional rocking chairs from Concordia – a nearby mountain town known for its hand-made wood furniture – perfect for sitting and watching the world go by. Our lush tropical landscaping includes a host of brilliant flowers, orange-flowering tabachin trees and colorful bougainvillea vines climbing to wrought-iron balconies, with charming fountains and ponds full of lavender and pink lotus flowers, water lilies and schools of colorful koi darting here and there. Graced by towering palms and gentle surf, the Hotel Playa Mazatlan’s property stretches across more than a 1/6 mile of sandy beach on the Sea of Cortez, just south of the Tropic of Cancer. Spectacular sunsets are part of the daily routine, and our clusters of palm-thatched palapas lining the oceanfront offer the perfect place to sit, relax and simply enjoy. As the very first hotel built in Mazatlan’s Gold Zone 55 years ago, the Hotel Playa Mazatlan sets the standard for excellence. Many of our guests return year after year, now bringing their own families to the resort playground where they themselves vacationed as children. Located in the center of Mazatlan’s lively Zona Dorada (Golden Zone), the Hotel Playa Mazatlan is literally steps away from shopping, dining and night life galore. Centro Historico, the historic center of town, with its theater and colonial architecture, is a quick 15-minute ride along the 12-mile waterfront Malecon, or esplanade; the inter airport is just 30 minutes away. 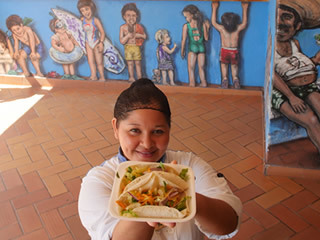 Find out more about Mazatlan here. 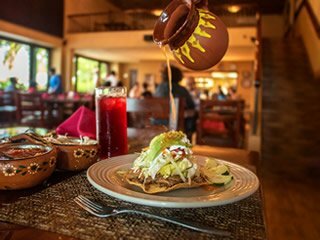 Be sure and leave time to experience the Hotel Playa Mazatlan’s famous “La Original Fiesta Mexicana”, our popular dinner show. For more than 40 years, audiences have enjoyed our spectacular Mexican showcase that includes colorful folklorico dancing and music, a buffet of traditional Mexican cuisine, an open bar and more. Our Concierge Desk can assist you with information and reservations for this and any of our other weekly and seasonal events. The Hotel Playa Mazatlan also has 22,000 sq. ft. of event and meeting spaces that accommodate everything from large-scale weddings and conventions to more intimate parties and business meetings. El Venado Theatre Hall is one of the hidden gems within the Hotel, it can house up to 500 guests, with a beautiful stage for both the dancers and musicians, ambience lighting and professional sound system, highlighted by our one of a kind architecture that will transport you through a brief view of the rich history and heritage of our state. You will as well enjoy a variety of buffets and open bar, based on the theme of the night. Doors open at 7:00 pm with an open-bar, live music and dancing, which is followed by an extravagant buffet featuring some of Mexico’s most representative cuisine. The show starts after dinner and will guide you through the fascinating diversity of Mexico’s lively folk dancing, enchanting music and exciting performances. Offering a delicious selection of fine foods, fabulous ocean views and fantastic service unparalleled in Mazatlan, the Hotel Playa Mazatlan delivers some of the best dining experiences in town. Whether you prefer a sit down full service meal or would delight in poolside or beachside service, we have what it takes to satisfy your palette. 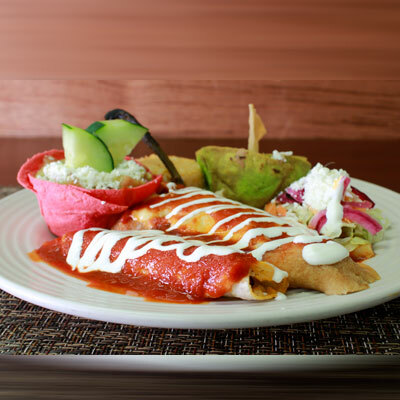 Enjoy the great cuisine of our new gourmet Sinaloa/Mexican food restaurant where our chefs have designed a menu that is sure to entice your palate. 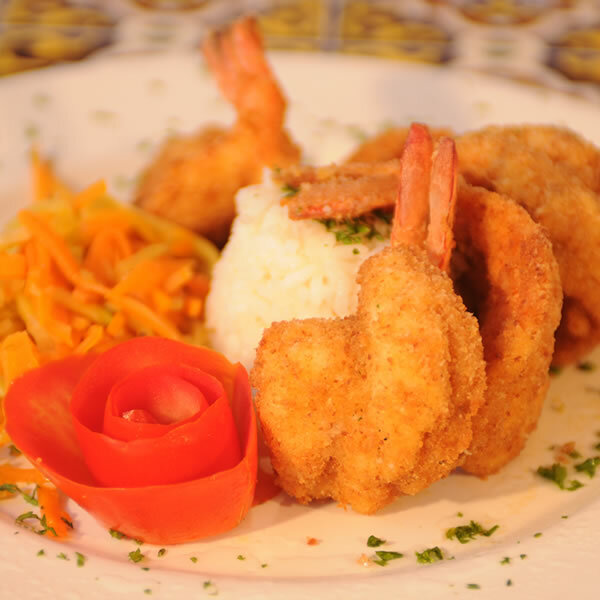 Come and enjoy the peaceful ambience of our Mexican “Cenaduria”. 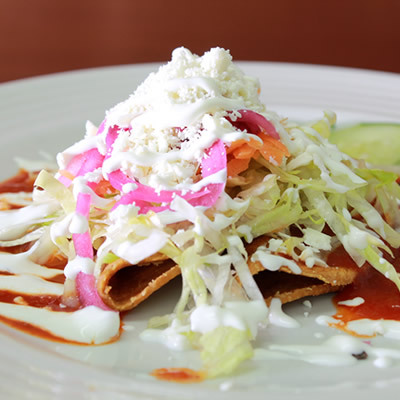 Casa Roberto offers a wide variety of traditional dishes (Mexican Cuisine) like Appetizers, Soups, Tacos, Enchiladas, Gorditas, Tostadas, Quesadillas, Entrees, Desserts, Beers & Sodas. 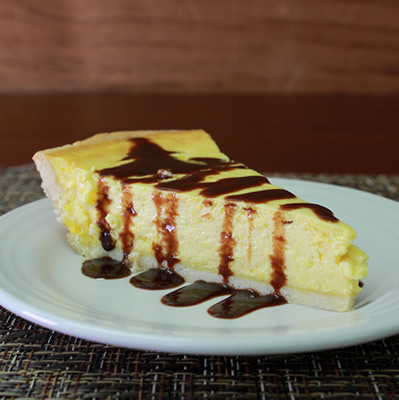 Delight yourself with delicious traditional desserts from our region: Corn Pie, Cocadas (coconut candy), Jericalla (custard), Rice with milk and Nieve de Garrafa (type of handmade, water-based sorbet) vanilla or chocolate flavored. 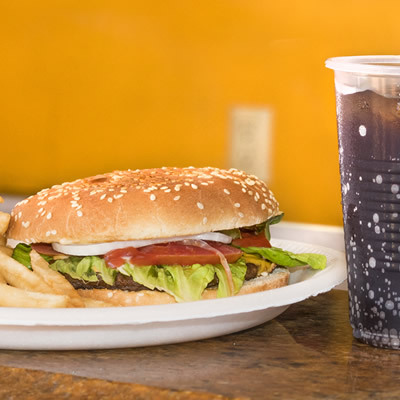 We offer you snacks, sandwiches, drinks, bread, coffee and others, for those long nights of restlessness when you might need a snack. 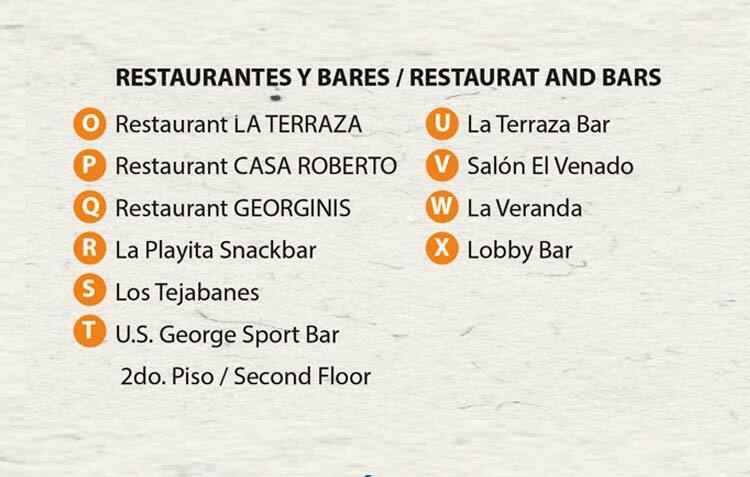 The Coffee Shop of Playa Mazatlan Beach Hotel is located close to La Terraza Bar. El Venado Theatre Hall is one of the hidden gems within the Hotel, it can house up to 500 guests, with a beautiful stage for both the dancers and musicians. Ambience lighting and professional sound system, highlighted by our one of a kind architecture that will transport you through a brief view of the rich history and heritage of our state. Situated in an air-conditioned room with incredible ocean views, the elegant ambience and Italian influence of this restaurant will cause you to fall in love with our menu. 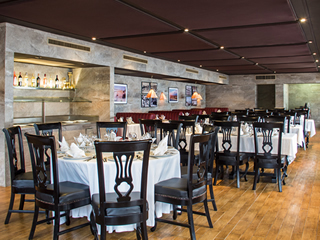 Recognized for the specialized service and offering our guest the highest level of fine dining and service. 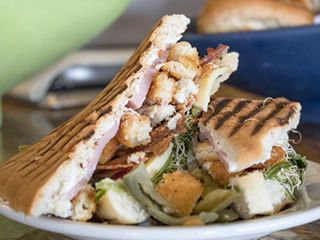 Enjoy our fresh baked bread and homemade desserts, a variety of oven baked pizza, pasta and seafood. Specializing in seafood with a Sinaloa seasoning, come and learn why our ort is known as the capitol of Shrimp in Mexico and enjoy various types of “ceviche” and other seafood treats. 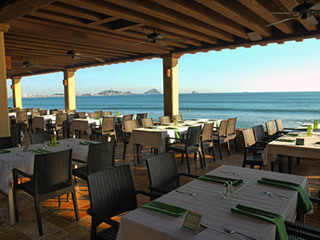 Dine under the stars on a panoramic ocean terrace overlooking Las Tres Islas and the sparkling bay of Mazatlán. Live music and dancing every night of the week, plus a spectacular fireworks show over the beach on Sundays. 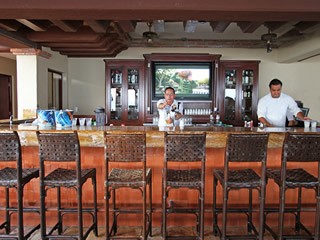 Situated on the beach within our restaurant, you will have the opportunity to have a drink, watch the sunset and some sports. 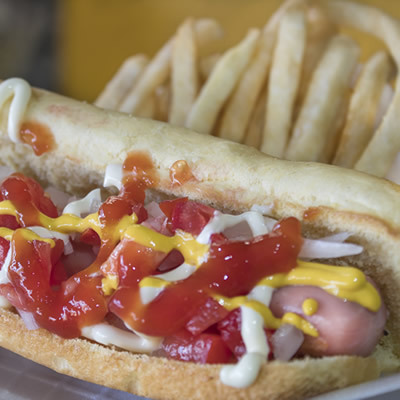 Bringing you a broad gamut of finger foods, both our drinks and dishes will allow you to entice your pallet and enjoy the beautiful pool and weather of Mazatlan. Located next to our main pool. 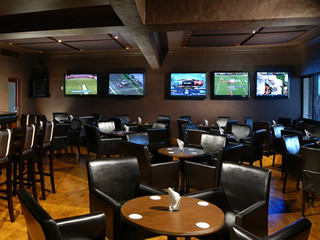 The best sports, the best drinks, and an ambience that is unique within the sports bar setting of Mazatlan. We have more than 12 high definition televisions bringing sporting events like baseball, basketball, football, soccer, hockey, box and others. Our 24 hours All Inclusive Plan, will allow you to enjoy to the maximum the opportunity of being a guest her at the Playa Mazatlan, and we hope that this will allow you to create unforgettable memories. 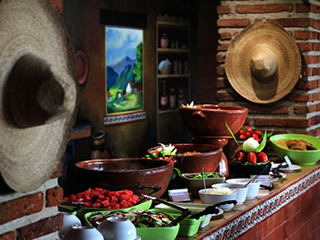 Pamper yourself with our famous Buffet that we have at “La Terraza” Restaurant of Hotel Playa Mazatlan and enjoy a fabulous ocean views. 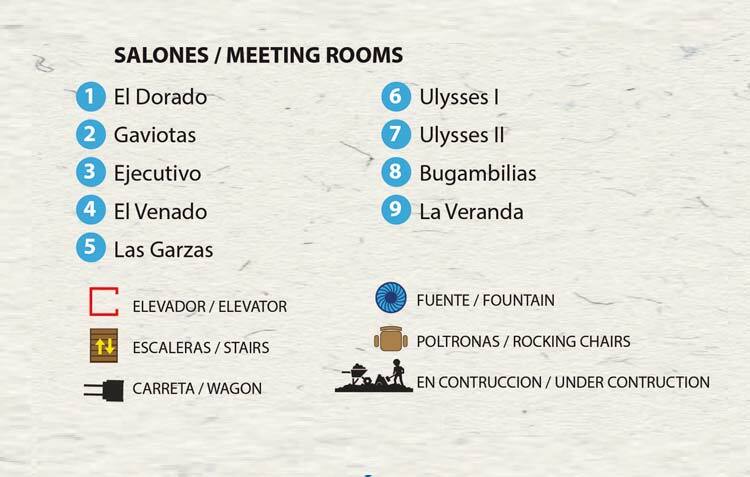 Do you live in Mazatlan or you will be visit our port and you did not have the opportunity to lodge with us? Don’t worry… We have prepared a specially promotion for you! The Hotel Playa Mazatlán’s Fitness Center offers the most modern equipment and free weights in clean, air-conditioned comfort. Our on-site certified trainer and fitness instructor, is available every day to assist you or put together an exercise routine designed specifically for you. Use of the Fitness Center is included in your stay. As the pioneers to the Mazatlan tourism Family, we are at the forefront of innovation in service, providing world class service and comfort that allows us to establish a loyal and repetitive client base. We will position ourselves as the business that creates the largest impact to the tourism industry of our port; offering the highest quality of hospitality and service in the opinion of our clients and piers, while offering stable job opportunities that allow for personal, spiritual and professional growth. Because the moral compass that guides our decisions is planted in truth and justice, because all of our family of employees values the importance of trust amongst each other and our guests, because we are honest in our quest towards a positive impact to our community, our city and our state. Because kindness is the virtue that allows us to become great by being of service, because kindness has allowed for a generational bond to be established between the hotel and our loyal guest and because the love for our city is demonstrated in the branding and culture of our business.  Because loyalty to our brand and mission allows us to flourish and continue, because loyalty is what we strive to create in the experiences that are generated and propagated through our guests, because the loyalty of our staff has allowed us to create a unique environment. Because we have the responsibility to our guest to provide a world class experience, because we have the responsibility to our city to represent our culture in a manner which is worthy of it and because we have the responsibility of providing an environment in which our employees can grow personally, spiritually and professionally. Because we are grateful to Mazatlan and its citizens for offering us the opportunity to establish ourselves as a business, because we are grateful to our employees and providers whom have given their lives in service to us and because we are grateful to our guest for continuing to provide us with their support and loyalty. Because it is paramount to establish trust in our guest if we are to create an unforgettable experience, because trust is the barometer for hope and growth and because we are socially responsible for the trust that our family of employees has placed in our brand. Because we always make decisions based on what is just and right, because justice allows for clarity in procedure, because justice is what creates loyalty and trust amongst our piers and employees. Because we are committed to excellence in service, because we are committed to establishing a bond with our guests and because we are committed to our mission and because it is the commitment of our employees to our brand that allows us to establish ourselves as an Icon of tourism in our port. Because we are humble enough to understand that respect allows for growth and understanding in industry, because we respect the needs of our city and work towards fulfilling them, because we respect the opportunities that are set before us and because we respect the value of establishing a bond with our employees, guests and fellow citizens. Nowadays the need of protection and preservation of the natural resources, the beauty of the landscapes, water quality, cultural integrity and biological diversity around us has become the basis on which will define the activities and policies of a company, in order to achieve a balanced and sustainable development economically, socially and environmentally. This is how the Sustainable Tourism in Mexico was born than in its purest sense is an industry committed to make a low impact on the environment and local culture, while at the same time helping to generate income and employment for local people. Natural and cultural resources are conserved for continued use in the future, at the time that they bring benefits. Tourism development is planned and managed so that it does not cause serious environmental or socio-cultural problems. Environmental quality is maintained and improved. It seeks to maintain a high level of satisfaction of the visitors and the destiny retains its prestige and commercial potential. The benefits of tourism are widely spread across the whole society. These features make the Sustainable Tourism in Mexico a strategy tool for local economic development. Certificate of Environmental Tourist Quality. Committed to continue being distinguished as a socially responsible company is honored to announce that the Federal Attorney for Environmental Protection (PROFEPA) has awarded the Certificate of Environmental Tourist Quality with effect until August 2016 at Hotel Playa Mazatlan who has decided to voluntarily participate in the National Environmental Audit Program to improve performance and lead a productive life in harmony with the environment and society. Certificate of Excellence – Hall of Fame. Playa Mazatlan Beach Hotel is proud to announce we have become members of the TripAdvisor Certificate of Excellence Hall of Fame. The Certificate of Excellence awards excellence in hospitality, it is only awarded to stablishments that constantly obtain positive ratings and comments on the TripAdvisor site among travelers. The TripAdvisor Hall of Fame, is been created to award bussinesses that win the Certificate of Excellence 5 years in a row. Being awarded with the Certificate of Excellence 5 consecutive years and become part of their Hall of Fame, is a true honor for the whole team at Playa Mazatlan, we thank every guest who cared to give us a comment or share a picture of their stay with us on TripAdvisor. 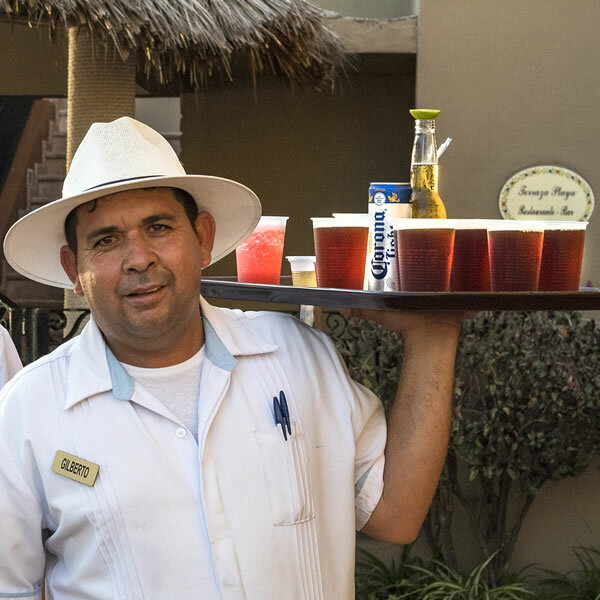 For us at Playa Mazatlan Beach Hotel, there is no bigger satifaction than our guests´s recognition. Eco-leader Gold Level. 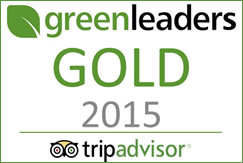 Playa Mazatlan Beach Hotel, is pleased to announce we have been named an Eco-leaders gold level hotel, by the TripAdvisor Eco-leaders program. This program helps travelers all arround the world to plan their trips more ecologically, poiting out hotels committed to respecting enviromental regulations. Eco-leaders lodgings on TripAdvisor meet a series of standars developed by an environmental consulting company with the contribution of experteese partners. The more Eco-practice a hotel renders, higher their Eco-leader level will be, these levels are shown on our bussinesses profile on TripAdvisor. Committed to continue being distinguished as a socially responsible company is honored to announce that the Federal Attorney for Environmental Protection (PROFEPA) has awarded the Certificate of Environmental Tourist Quality with effect until August 2016 at Hotel Playa Mazatlan who has decided to voluntarily participate in the National Environmental Audit Program to improve performance and lead a productive life in harmony with the environment and society. Your guests have given you a high rating based on the results put forth by your staff, for the work realized in the field of service this year. For this reason you shall be awarded the “Highest guest satisfaction in the destination award, 2014″, awarded by Booking.com and its clients. Playa Mazatlan Beach Hotel has received a TripAdvisor Certificate of Excellence award. The accolade, which honors hospitality excellence, is given only to establishments that consistently achieve outstanding traveller reviews on TripAdvisor, and is extended to qualifying businesses worldwide. Winning the TripAdvisor Certificate of Excellence is a true source of pride for the entire team at Playa Mazatlan Beach Hotel and we’d like to thank all of our past guests who took the time to complete a review on TripAdvisor. With the TripAdvisor Certificate of Excellence based on customer reviews, the accolade is a remarkable vote of confidence to our business and our continued commitment to excellence. 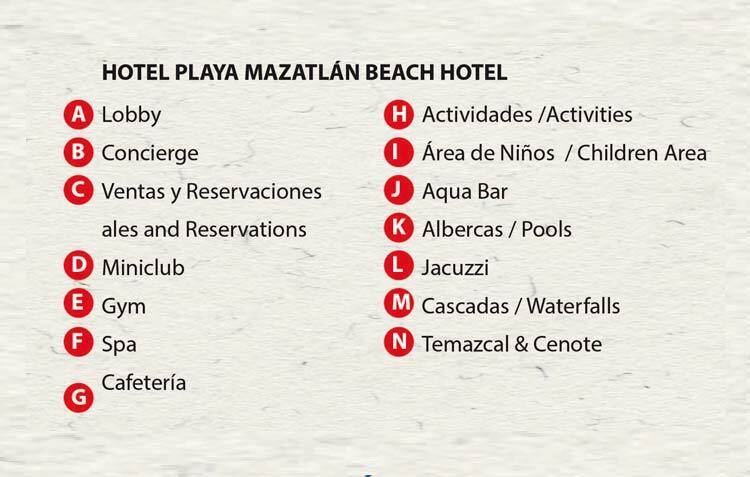 The Playa Mazatlan Beach Hotel has received the 2013 award as the best hotel for traveling families in Mazatlan, and number nine in the country. The most important award given to restaurants in Mexico. It is the official standard for all food handling industries, granted only to the few who meet the highest inter standards in food quality and handling. 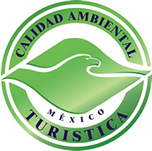 Certificate awarded to businesses that comply with the environmental rules and processes dictated by the Environmental Protection Bureau of Mexico. These rules pertain specifically to the equipment used, processes followed, and the overall maintenance of an organization. When a property meets the requirements that display the basic lodging needs AAA members have identified, it is assigned a diamond rating reflecting the overall quality of the establishment. Establishments rated three diamonds offer a degree of sophistication, and there is a marked upgrade in services and comfort. This elite group of approximately 1% of all properties offered on Expedia.com has been chosen via more than 300,000 travelers’ opinions combined with the expertise of Expedia’s 300 local experts and hotel market managers worldwide. Voted the Best Hotel in Mazatlan by M! Magazine readers.